The Dimac Star One is a true workhorse for low to medium speed production. The Dimac Star One is available as a 20 CPM or 30CPM machine depending on the separation system chosen. The Robopac promise of providing “Innovation Driven by Value” assures that the Star One is equipped with the latest technology available in this range of equipment. The Dimac Blue Star is designed to provide reliable, trouble free operation for medium speed production. The Dimac Blue Star is a 35 CPM machine. Flexibility and ease of use make the Blue Star the perfect shrink-wrapping machine for users who have multiple change overs during a shift. 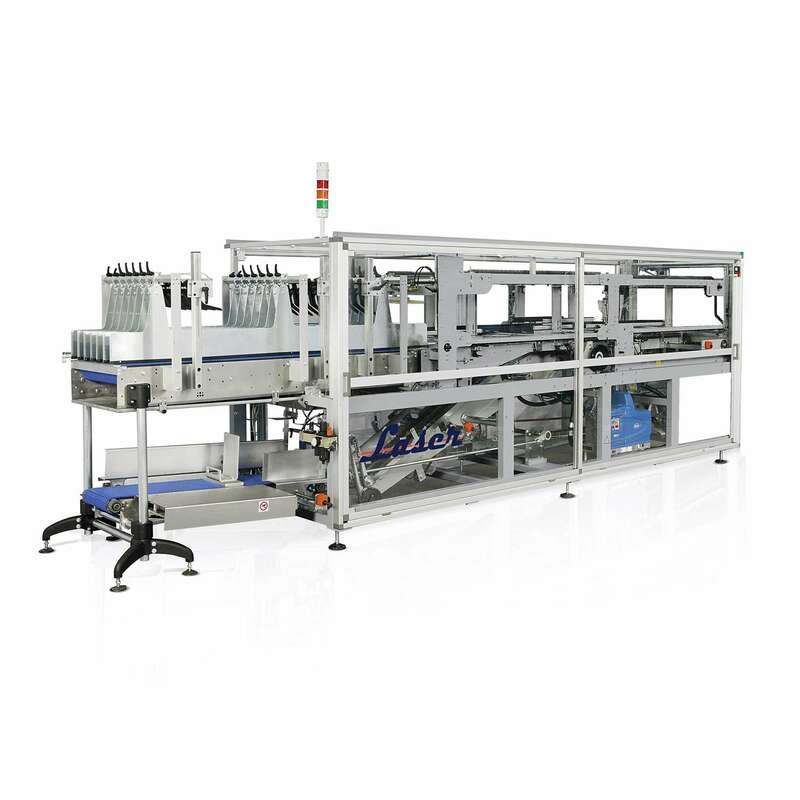 The Blue Star Series is also available in a wide frame configuration “Blue Star Big” which allows for dual lane production at a capacity of 30 + 30 CPM. The Robopac promise of providing “Innovation Driven by Value” assures that the Green Star is equipped with the latest technology available in this range of equipment. The Dimac Green Star is designed to provide reliable, trouble free operation for medium to high speed production. The Dimac Green Star is a 45 CPM machine. Flexibility and ease of use make the Green Star the perfect shrink-wrapping machine for users who have multiple change overs during a shift. The Green Star Series is also available in a wide frame configuration “Green Star Big” which allows for dual lane production at a capacity of 40 + 40 CPM. The Robopac promise of providing “Innovation Driven by Value” assures that the Green Star is equipped with the latest technology available in this range of equipment. The strong global purchasing power of the Robopac family of companies ensures that the Gold Star offers the very best price to performance ratio in the market today. The Dimac Gold Star is designed to provide reliable, trouble free operation for high speed production. The Dimac Gold Star is a 60 CPM machine. Flexibility and ease of use make the Gold Star the perfect shrink-wrapping machine for users who have multiple change overs during a shift. The Gold Star Series is also available in a wide frame configuration “Gold Star Big” which allows for dual lane production at a capacity of 60 + 60 CPM. The Robopac promise of providing “Innovation Driven by Value” assures that the Green Star is equipped with the latest technology available in this range of equipment.